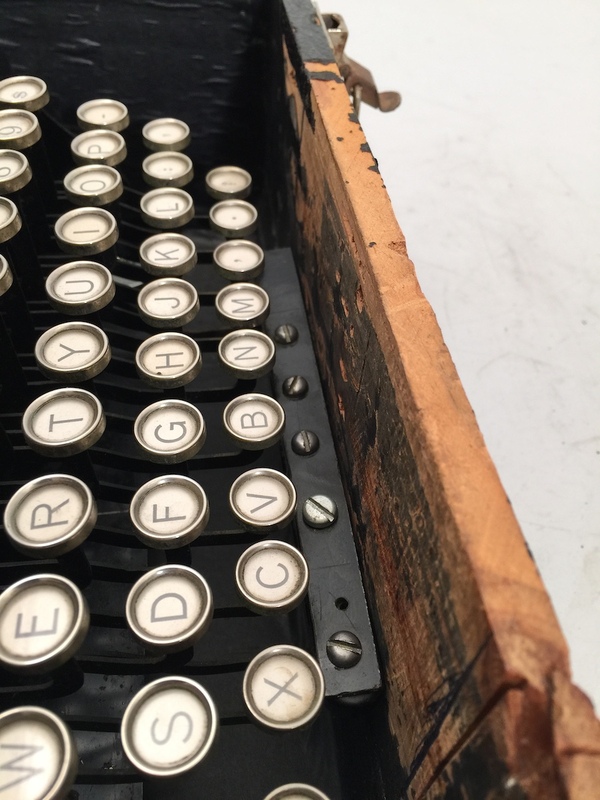 Typewriter companies are experimenting in a new, low priced field in depression times in an effort to increase the common use of the typewriter and thereby bolster sales. 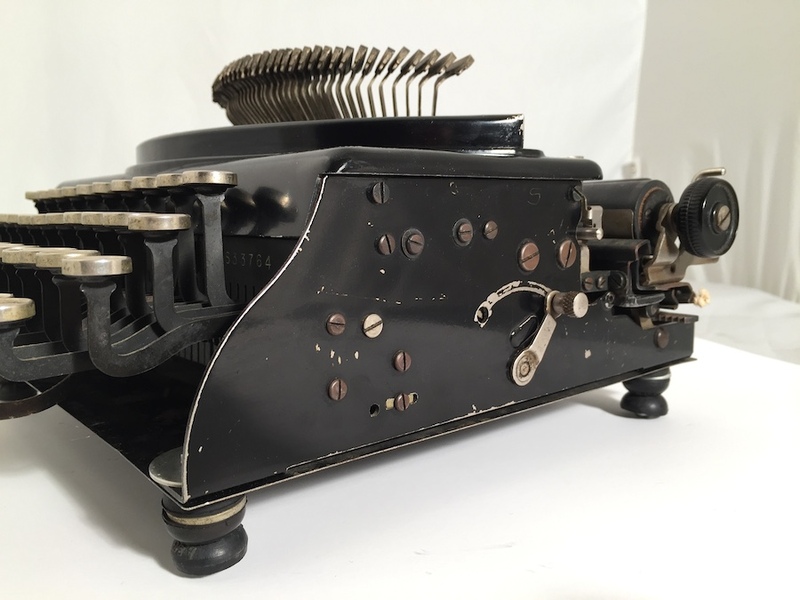 About six weeks ago Remington Rand, Inc. introduced the Remington Pioneer, a simplified machine to sell below $30. 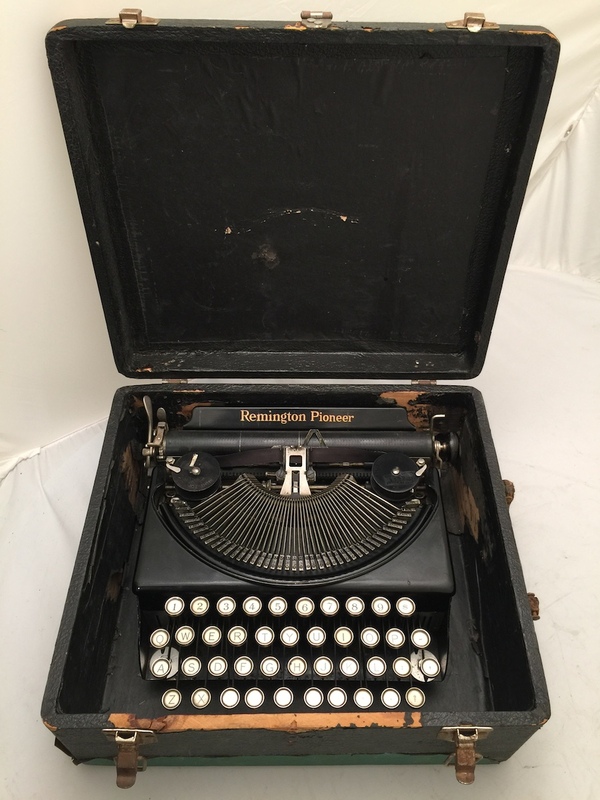 On September 1 Royal Typewriter will introduce a similar machine. It is rumored that Underwood Elliot Fisher is likewise working on a low-priced model. 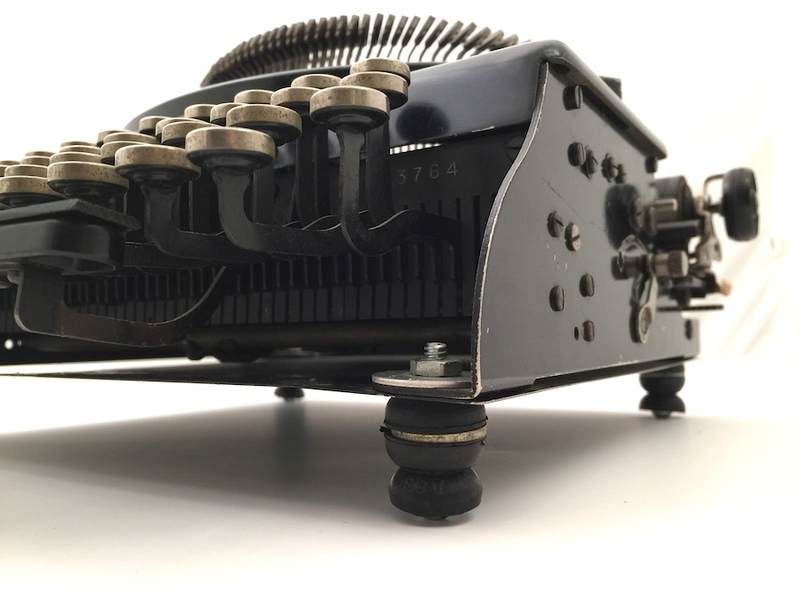 The machines resemble a cut-down portable in appearance but are without regular typewriter features such as the shift key, ribbon reverse, back spacer, double and triple spacing key, and space gauge. 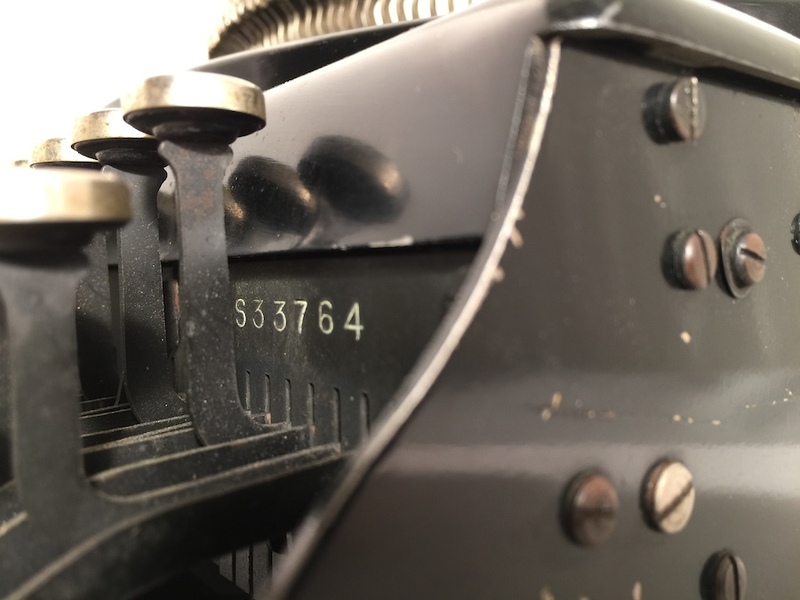 The keyboard is standard in arrangement of letters and numerals. The type is entirely capital letters, and an easy action permits steady, rapid work in volume. 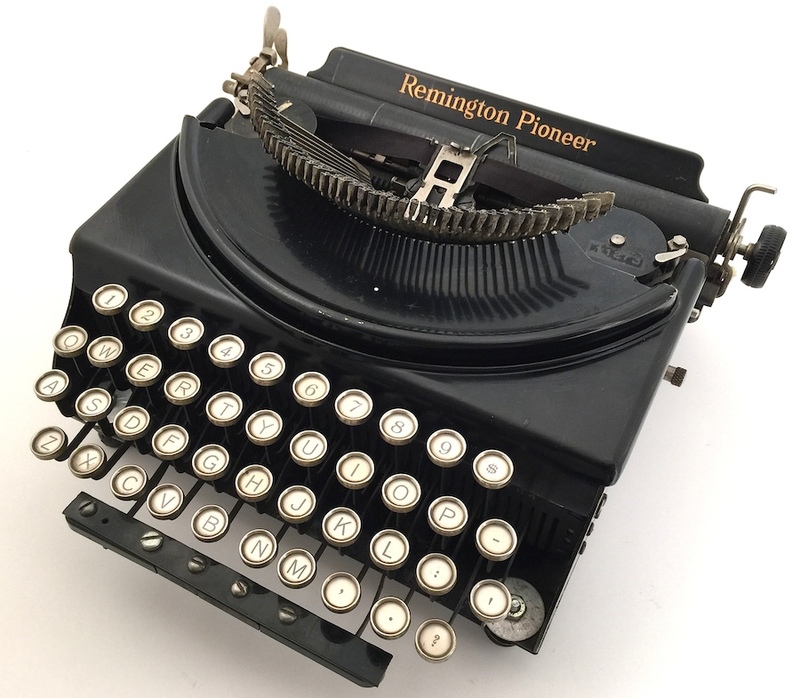 The Remington machine is furnished in five color combinations as well as black. 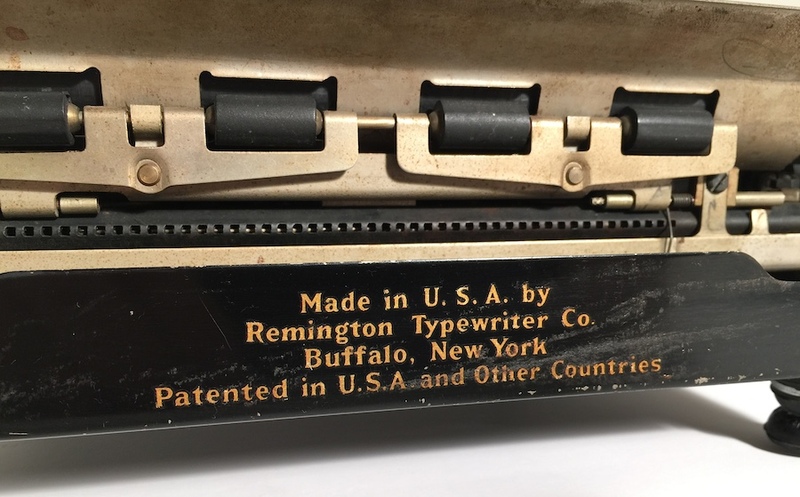 Only Remington sold an open-framed model, though other companies did produce economy machines (see this overview here). The Remie Scout was the oddest, being stripped so completely of regular features. 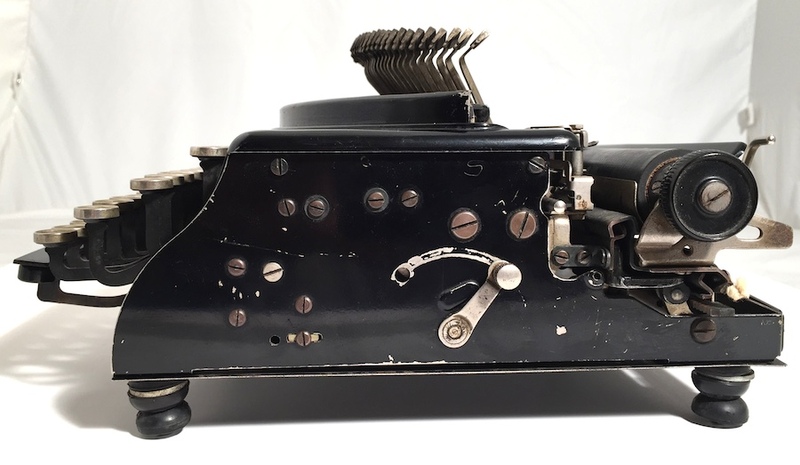 Manufacturers were anxious to maintain sales of portable typewriters during the Great Depression, especially as the portable typewriter market had only just gotten established in the 1920s. Finding the right price point, though, was challenging and reduction of materials proved key. Caps-only models abounded in this period. How many open-framed portables Remington sold is unclear. According to Alan Seaver, some 16,000 caps-only models were manufactured2, but the number of open-framed machines is undetermined. Such models do appear regularly on eBay and Etsy, so the proportion must have been high. 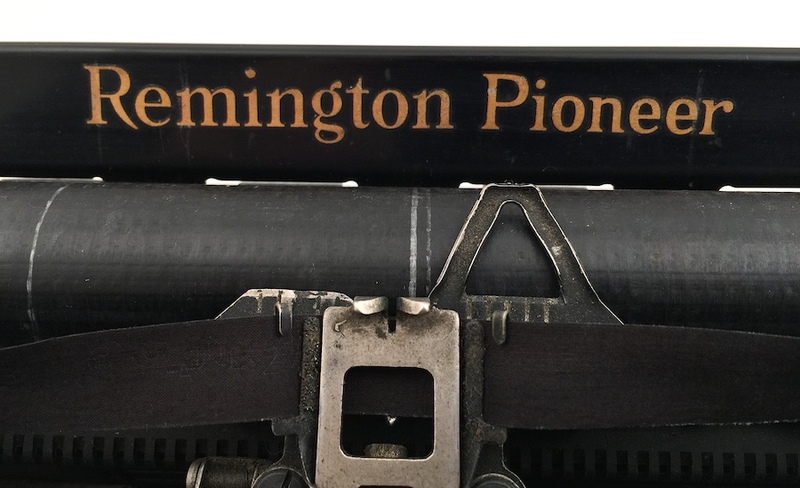 Judging from advertisements, “Remington Pioneer” was likely the earliest mark applied to this machine. 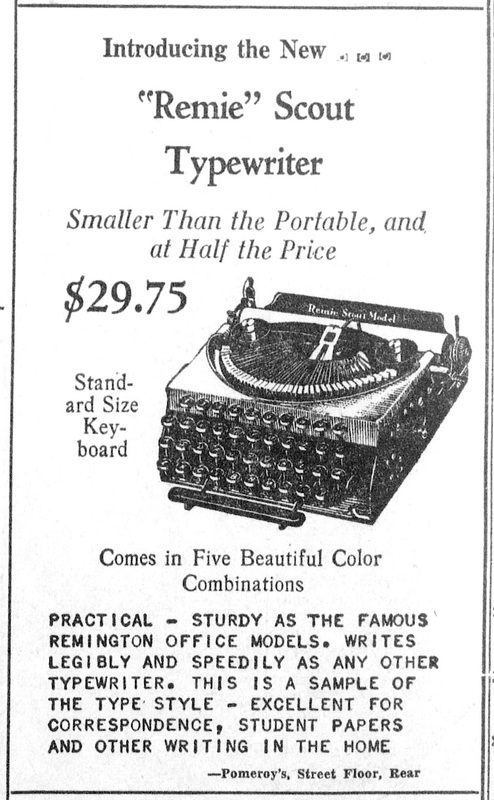 A classified ad placed in The Evening News in Harrisburg, Penn., May 19, 1932, heralds the “new Remington pioneer portable,” sans image; two weeks later, a different advertiser introduces the “Remie Scout Model.” (yes, the period is part of its name actually). The last known advertisement for the “Remington Pioneer” dates to Dec. 1932. The serial number on my machine (S33764) is not particularly low, so the Pioneer brand must have endured throughout most of the production cycle. 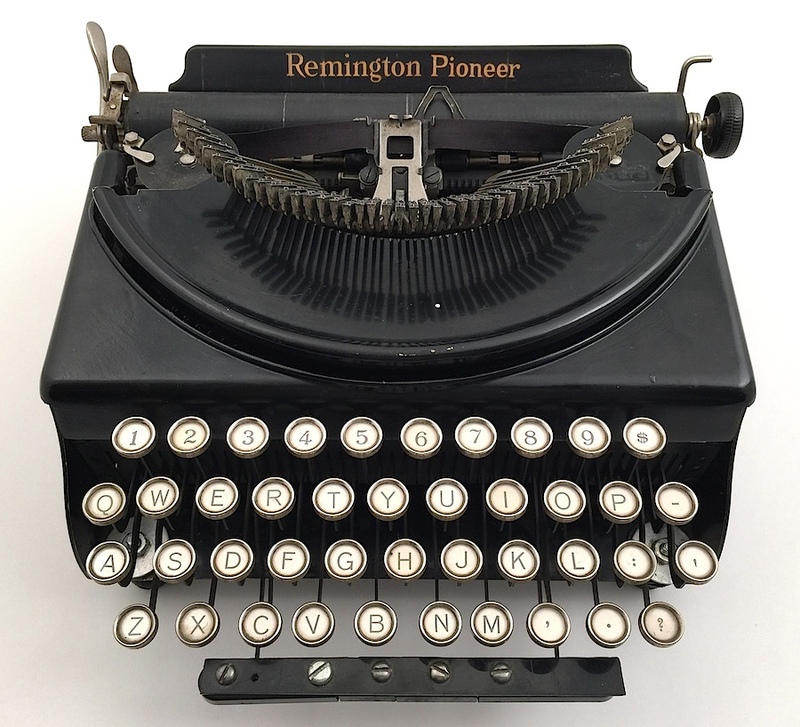 Remington would revive the Pioneer mark later in the 1930s, applying it to its 3 1/2 bank portable, more commonly known as the “Monarch Pioneer” (see here), and a 4-bank portable, generally called “Pioneer” (see here). The Remie Scout/Pioneer initially sold for $29.75; later, for as low as $19.75. “Pioneer” was always applied to budget models. The earliest advertisement for the Remington Pioneer (aka Remie Scout Model.). From The Evening News, Harrisburg, Pennsylvania, May 19, 1932. “Remie Scout Model.” or Remie is the more common name. From the Evening News, Harrisburg, Pennsylvania, June 1, 1932. Note, the typeface in the lower portion of the ad is from the typewriter itself. 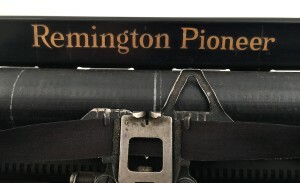 Last discoverable advertisement for the Remington Pioneer. From the Independent Record, a Montana newspaper, Dec. 4, 1932. Notice, price has been dropped to $19.75. My machine was modified, presumably by someone who actively typed on it. Some previous owner installed four feet that “lift” the machine about a half inch. That person also repaired the space bar somewhat crudely. 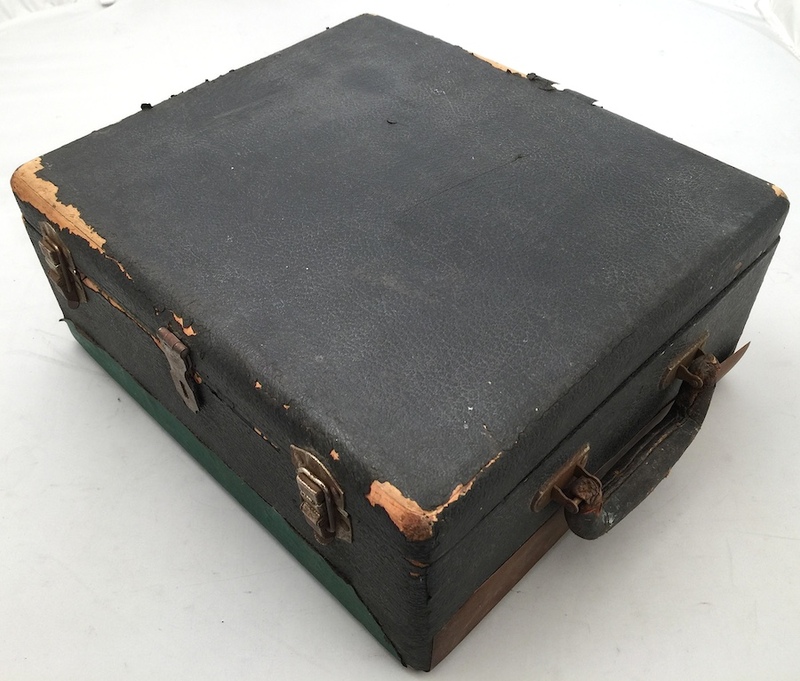 The case does not look original, though it is probably as old as the machine itself. Generally collectors dislike modifications, but as the original owner possibly altered/fixed this machine, it has some distinct appeal. It seems to have been a workhorse. Even today, it types nicely. That is a machine with tons of character! This has nudged me to clean and replace the ribbon on my Scout. What a wonderful machine! For its utilitarian pedigree, it’s still a sturdy machine and a fine typer. I have the double case version, and the font is amazing (I’m kind of a font geek…). Looks like a musical instrument. Nice! great photos, and interesting information! I think I will lift mine up by a quarter inch–what a great idea!